Huntsville, Alabama, November 15, 2016 – Qualis Corporation welcomes John Warden as Senior Technical Director providing technical leadership across all engineering disciplines in support of Qualis customers. Most recently, Mr. Warden was the Director of Assured Design and Processes with the Missile Defense Agency (MDA) where he established and led the Assured Design and Process Organization within the MDA Engineering Directorate. Mr. 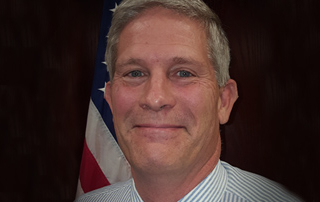 Warden previously held the position of Project Manager, Ground Based Interceptor (GBI) Office at the Ground-Based Midcourse Defense (GMD) Joint Program Office in Huntsville, Alabama, and was the Missile Director for the Engineering, Manufacturing, and Development (EMD) phase of the Terminal High Altitude Area Defense (THAAD) program. Earlier in his notable career, Mr. Warden held leadership positions in Huntsville at the Patriot Project Office, the Space and Missile Defense Command, the Theatre Missile Defense Applications Project Office, and the Missile and Space Intelligence Center (MSIC). Mr. Warden holds a Bachelor of Science degree in Mechanical Engineering from the University of Missouri. Qualis Corporation, founded in 1993, is a Woman-Owned Small Business headquartered in Huntsville, Alabama that supports the U.S. Air Force Test Center, Air Force Operational Test & Evaluation Center, Air Force Safety Center, Air Force Nuclear Weapons Center, and Air Force Global Strike Command; U.S. Army Aviation and Missile Life Cycle Management Command, Maneuver Center of Excellence, Space and Missile Defense Command, and TACOM Life Cycle Management Command; Missile Defense Agency; and NASA Marshall Space Flight Center. For more information or for press inquiries, please contact Dr. Charlotte Hughes at (256) 971-1707 or chughes@qualis-corp.com.